Naturally, I tried as the error suggested and put the CD back in and tried again. Unfortunately, the error was still there. After a couple minutes snooping around the installation directory, I found the way to fix this problem, and here it is for anyone else that may be encountering it. 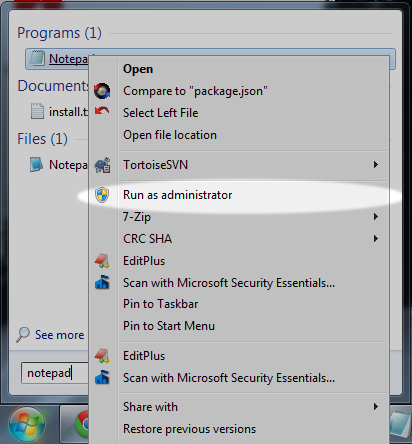 Right-click the notepad shortcut and select Run as Administrator. Alternatively you can press Control+Shift+Enter to run the program as an administrator. 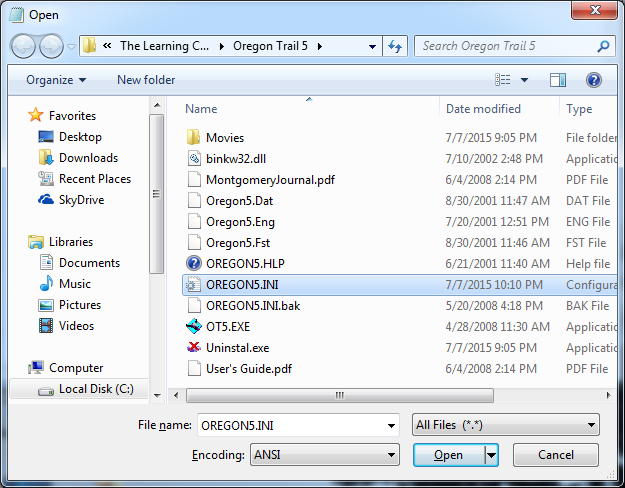 Type in OREGON5.INI or select it from the list. You may need change the file filter to All Files to see it. Modify the line to point to the proper installation directory by changing Program Files to Program Files (x86). The game should start up successfully now. Happy Travels! Update: These steps also work for Windows 10.